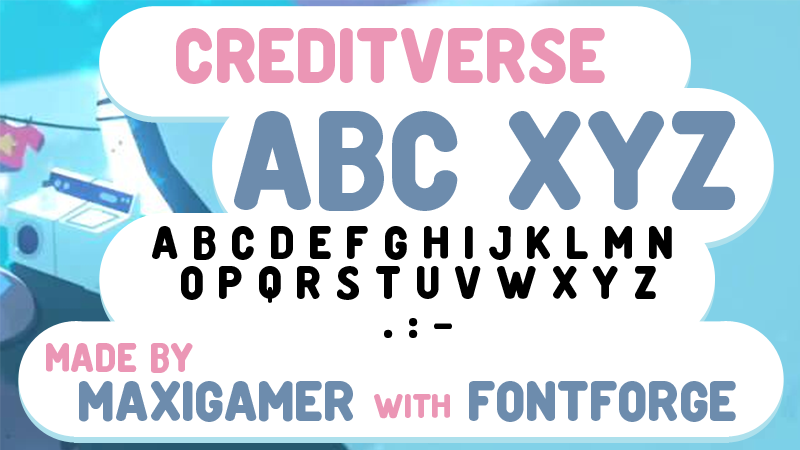 Creditverse is a font that replicates the one used for the end credits of the TV show Steven Universe™. Steven Universe(tm) was created by Rebecca Sugar and is a trademark of Cartoon Network. PLEASE NOTE THAT I AM NOT GOING TO MAKE NUMBERS FOR THE FONT, ONLY UPPERCASE LETTERS.